Ayurveda, the knowledge of life, immortalized in the form of elegant Sanskrit stanzas in the samhitas describe diagnosis and therapy of disease as well as ways to maintain positive health. , Although the technical term "Pharmacovigilance" does not feature in ayurvedic texts, the spirit of pharmacovigilance is vibrant and is emphasized repeatedly in all major texts. The major goals of pharmacovigilance, namely to improve patient care and safety in relation to drug use, and thus promote rational drug use are recurrent themes of ayurvedic pharmacology ( dravyaguna vigyan ) and therapeutics ( chikitsa ). The use of ayurvedic medicines is popular in India - and in recent times has become accepted in other countries. For example, a recent survey conducted by the NCCAM in the USA showed that about 751 000 people in the United States had ever used ayurveda and 154 000 people had used them within the past 12 months. Associated with this increasing use, are growing concerns about the safety of ayurvedic medicines. , This paper discusses in brief the ayurvedic concepts of adverse reactions to medicines, the need for pharmacovigilance of ayurvedic medicines, challenges in introducing pharmacovigilance in ayurveda and some recommendations to successfully implementing these activities. In ancient times, the ayurvedic physicians prepared medicines for their patients themselves. Today, only a handful of practitioners follow this practice and production and sale of ayurvedic drugs has become formalized into a thriving industry. Manufacture and marketing of ayurvedic drugs is covered by the Drugs and Cosmetics Act, 1940. Broadly speaking, two categories of medicines labeled as "Ayurvedic" are available in the market: firstly, classical ayurvedic formulations, which are as per descriptions in ayurveda samhitas (e.g., kutajarishta, chandraprabhavati, etc.) and secondly patent and proprietary formulations made of extracts of herbs. There are 8403 licensed ayurvedic pharmacies and the approximate turnover of this industry is Rs. 4000 crore, which accounts for nearly a third of the total pharmaceutics business in India. This commercialization has brought with it many challenges about safe use of ayurvedic medicines, bringing into focus the need for formal pharmacovigilance programs in the field. And yet, the number of adverse reactions to ayurvedic drugs reported or recorded in the National Pharmacovigilance Program in India is negligible. The strong belief that ayurvedic medicines are safe contributes to a large extent to this situation. To compound this matter is the lack of knowledge about the concept and importance of pharmacovigilance in ayurveda among ayurvedic practitioners. A recent survey conducted among ayurvedic physicians by our department examined their attitudes toward adverse reactions of ayurvedic medicines and reporting these to authorities. Of the 80 vaidyas interviewed, 14 refused to accept that ayurvedic drugs could produce adverse reactions and the rest felt that adverse reactions would occur only if ayurvedic drugs were improperly manufactured and irrationally prescribed. Of these 66 doctors, 48 physicians said that they had seen "unexpected" reactions after administration of ayurvedic drugs in their practice. Interestingly, only 14 of these 48 said that they had reported these reactions (mostly in medical association meetings or to medical representatives) (personal communication). Although the National Pharmacovigilance Program has encouraged reporting of all suspected drug-related adverse events including those caused by herbal/traditional/alternative medicines (Protocol of NPP, Version 1, 2004, p. 17), the number of reports related to ayurvedic/herbal drugs has been abysmally low. Several challenges that preclude identification and reporting of adverse reactions to ayurvedic drugs can be identified related to detection, assessment and prevention of adverse reactions. The concept and terminologies related to adverse reaction monitoring are not covered in the ayurvedic curriculum precluding accurate identification of adverse reactions. 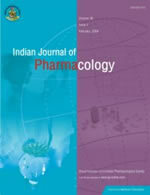 Methods to study drug safety problems have not evolved adequately in ayurveda. Although information related to medicines exists in the stanzas in the ancient treatises of ayurveda, it is not easily accessible. Signal detection is difficult because there is an inherent belief about safety of ayurvedic medications leading to lack of reporting and collection of reports relating to any formulation. Patients often use medicines from different systems of medicine concomitantly leading to difficulties in assigning causality. Lack of quality assurance and control in manufacture of ayurvedic medicine, which acts as a confounding factor in diagnosing the adverse reaction. The informal sector manufacturing and selling ayurvedic drugs on a small-scale is large and this often makes it impossible to identify the medicine that may be causing the adverse reaction. At our Center, for example, we receive adverse reaction reports or requests for testing medicines for adulteration with steroids. Of the total 154 requests of adverse reactions to ayurvedic medicines we have received over the past 5 years, we know the exact ingredients (because of labeling) of ONLY 22 formulations! 132 were from the informal sector - dispensed by the "doctor". Information related to adverse effects is scattered in ayurvedic literature and not in electronic form, hence making it is difficult to access. Many publications are not in peer-reviewed journals and the quality of available publications is questionable. Most ayurvedic formulations are multi-ingredient-fixed dose formulations rarely prescribed alone (i.e., there are multiple herbal and herbo-mineral FDCs being consumed at the same time). Additionally, there is the confounding factor that the patient is often receiving allopathic medicines at the same time. Pharmacokinetics and toxicokinetics are very difficult, and at this point of time, well nigh impossible making definite causality virtually impossible. Dose-related responses are rarely measured and reported. Rarely, if ever, is de-challenge and re-challenge performed and there is no objective evidence of the adverse event. One of the most challenging aspects is the lack of expertise in performing causality analysis with ayurvedic medicines. A person trained in pharmacovigilance rarely understands ayurveda while an expert in ayurveda is not trained in the science of pharmacovigilance. The success in any pharmacovigilance system is in the ability to prevent further adverse reactions successfully by understanding and using the information collected. With ayurvedic medicines, the challenges would be at multiple levels. Communication between the practitioners and policy makers of orthodox Western medicine and traditional Indian medicine is not adequate. In India, the current NPVP does not have ayurveda under its fold and therefore ayurvedic practitioners are not aware of the need to report and where to report. Unbiased drug information about ayurvedic drugs including both classical and proprietary formulations is not available easily. Patients are not adequately aware that ayurvedic medicines can cause adverse reactions and can take medicines for years on end with no monitoring as they believe that these medicines can do no harm. Hence, they do not even give history of taking these medicines. Education in ayurveda or modern medicine at both under-graduate and post-graduate levels does not cover pharmacovigilance of ayurvedic medicines, thus never exposing the young physicians to this concept. The ayurvedic pharmaceutical industry is not motivated to focus on pharmacovigilance of ayurvedic medicines. Hence, there is no attempt at generating safety data - either before or after marketing of the formulation. Availability of ayurvedic medicines is unprecedented in India! It is reported that there are over 100 books describing different ayurvedic medicines containing over 100 000 recipes for medicines! The formal ayurvedic formulary quotes over 630 formulations in its two published volumes. Add to that the huge informal sector, the numbers are mind boggling. Which medicines to include in the pharmacovigilance system? Based on these observations, there are several ways we can move forward in attempting to embrace pharmacovigilance systems into ayurveda. Introduce pharmacovigilance concepts into the curriculum of ayurveda at the under-graduate and post-graduate level. Encourage studies on drug safety. Make reporting of adverse reactions to regulators mandatory for ayurvedic formulations. Make unbiased and easily accessible drug information available. The Traditional Knowledge Digital Library launched by the Government of India  is an example of how ancient knowledge available in the ancient scriptures can be made digitally accessible. Create awareness about the science of pharmacovigilance among ayurvedic physicians, patients and paramedical staff. Development and validation of scales to assess the causality of the reported reactions to ayurvedic medicines. Human resource development is a key feature for the success of this enterprise. It will be necessary to train ayurvedic experts in the science of Pharmacovigilance and include them not only in reporting but also assessment of the adverse reactions. More direct involvement of ayurvedic Academic Institutions in the NPVP after appropriate training would be an appropriate first step in this direction. A strong cooperative effort from experts in Pharmacovigilance and ayurveda together can ensure that this system is up and functioning. Pharmacovigilance in ayurvedic medicines is perhaps an unthought-of concept as yet; however, we do not need an "Ayurvedic thalidomide" to wake the pharmacovigilance community to the need of the hour.